In this final instalment of our series of stories about Transition in Japan, Guest Editor, Shunro Yoshida, remembers the connections that led to Transition arriving in Japan ten years ago and reflects on the immediate and lasting impacts of the Great Earthquake in 2011.
was known for starting Transition Town Totnes, would also be speaking there. It was about the same time that the Transition Handbook was published, 2 years after the founders had started TT Totnes. In the morning, two days after the Tohoku Great Earthquake and Fukushima nuclear power plant’s accident on March 11th, 2011, our local members told me that they were headed west by car and asked me if our family would like to join them. Three families left town together. There were not so many people who were moving because the No.3 plant hadn’t yet exploded, and we could go west without being caught in traffic. However, later we heard that as we drove away, local supermarkets were running out of stock and gas stations had long lines of cars fueling up for long distance drives. While we were driving on the expressway, lots of our members constantly called my cell-phone to ask what they should do or where they should go. I needed to answer such questions while we were moving westward. For those members who would be coming later, we had to keep driving to Kyushu. On the phone, I talked to many members. I recommended that they should move away from the radiation, and should evacuate at least temporarily. But even I wasn’t sure this was the best response, and I felt that we should stop driving. Many thoughts arose in my mind and I was confused. It was a big trial for Japanese society as well as Transition Japan. I settled down in Minami-Aso in 2011, as I was planning to move before. Many members moved here to Aso or other areas in Kyushu after 3.11. This rural town was filled with people who evacuated with their families. It was a chaotic situation. To keep our peace of mind, we got together every week to have meals together, discuss, and support one another. That was the time when we looked back at our former lives, became depressed and moaned about the disaster. 3.11 Tohoku Great Earthquake gave us a chance to think about such things deeply. Even now, people in the Tohoku region and Fukushima are struggling to recover from the disaster. 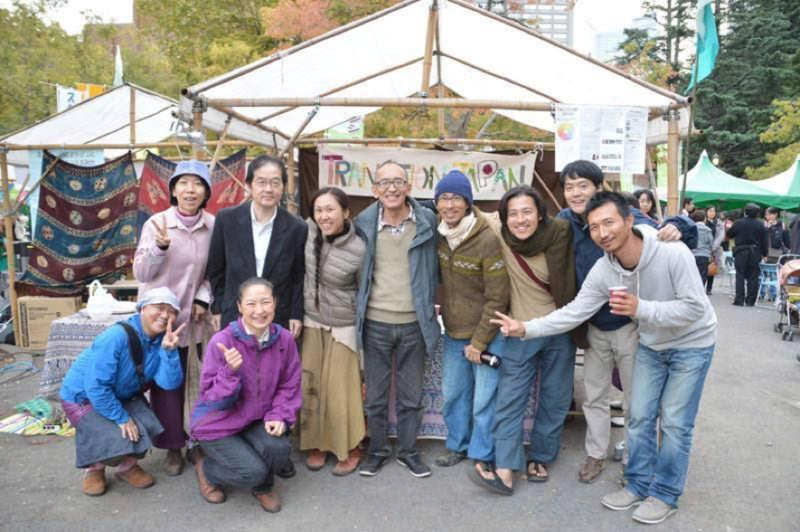 As of now in 2018, Transition members in Japan are active in more than 60 communities. Having fun and connecting with others, each member is seriously working on shifting to a sustainable life. 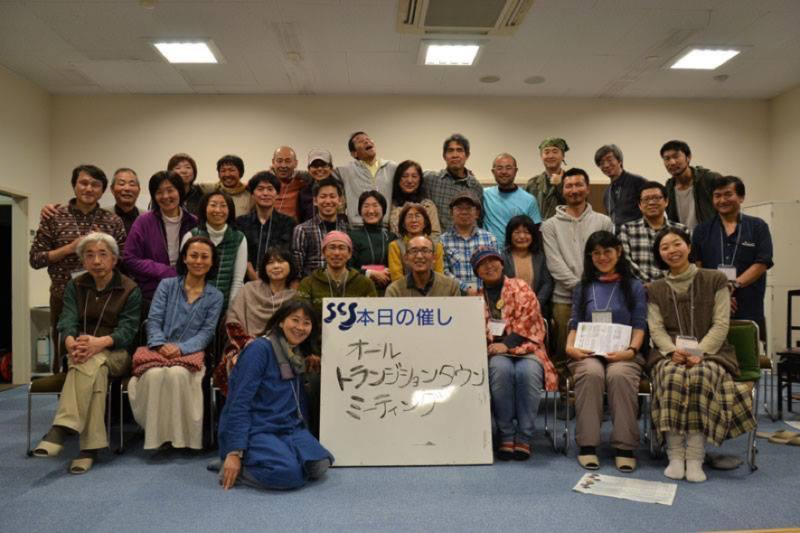 Currently, every year, Transition town initiatives all over Japan have a meet-up, celebrate, and share what they have learned. Through such activities, we get closer to each other and we now feel as if we’re all one big family. Although it’s little by little, our activities are steadily spreading to many regions through Japan (from Hokkaido in the north to Okinawa in the south) and accepting people who are questioning the modern lifestyle and way of living and want to shift to a sustainable society. Affected by the nuclear plant accident on 3.11, many young people moved to West Japan. Minami-Aso, in particular, has many such members and is building a community. Still, now, some people are moving to our community little by little. 6 years have passed since we moved here. During these 6 years, we have found or built houses to live in and made our own jobs to have stable lives. And currently, we’re working on an ASO Tanetori (seed picking) club to maintain true-bred seeds, movie screening events, self-built traditional Japanese architecture workshops, and a farmers market. 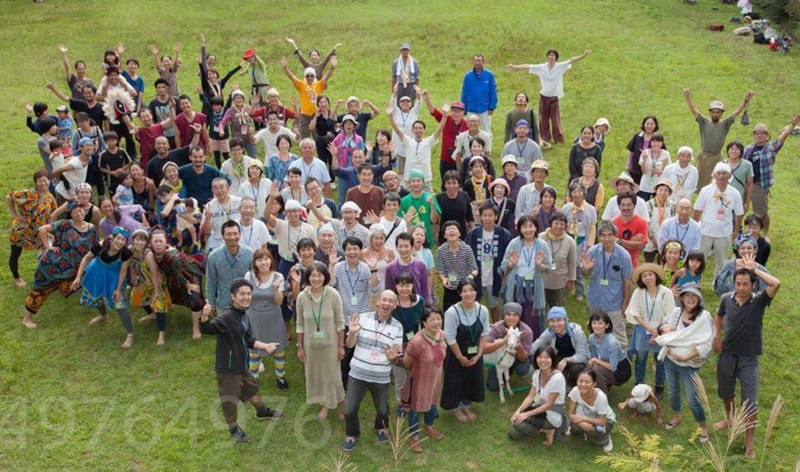 About 160 members live around the caldera, which is our daily sphere of life, join the mailing list to have fun together, support one another, and learn/share more sustainable life where we know what is sufficient. 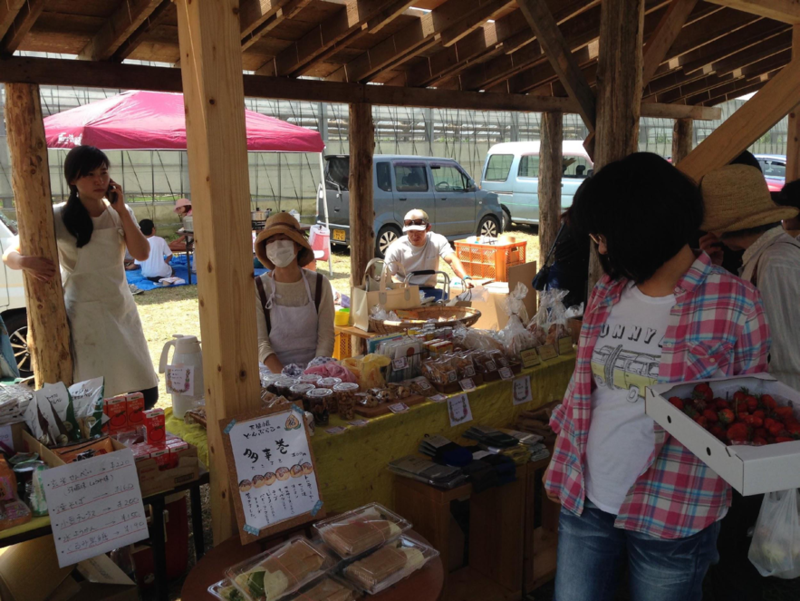 Minami-Aso Farmer’s Market is held three times a year. At the market, small-scale farmers directly sell their own organic vegetables and products, shops sell products which have been made from such harvests and serve meals, and people can enjoy the music. We hope that these local and organic harvests will spread in this region and local people will be able to normally sell and buy such harvests. Shunro Yoshida talking about how his life is different since he got involved with Transition.